For three days New York Red Bulls coaches taught 30 FC Harlem kids, boys and girls ages 7 to 9 the basic of soccer in a fun environment. 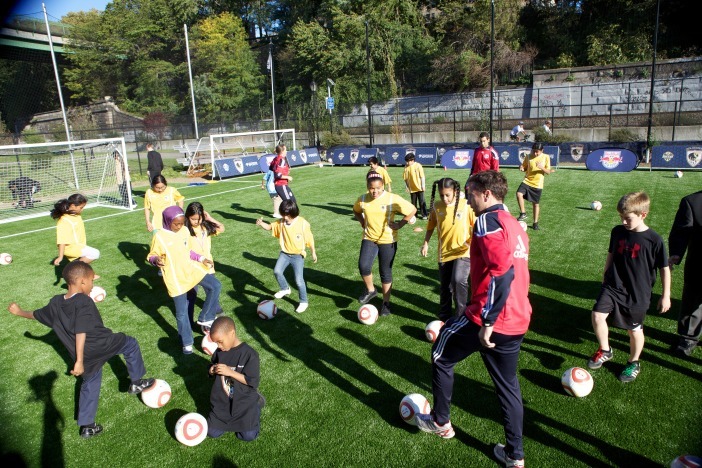 The clinic was held at the FC Harlem Children’s Aid Society Field in central Harlem. Participants received t- shirts and free Red Bulls branded soccer balls. 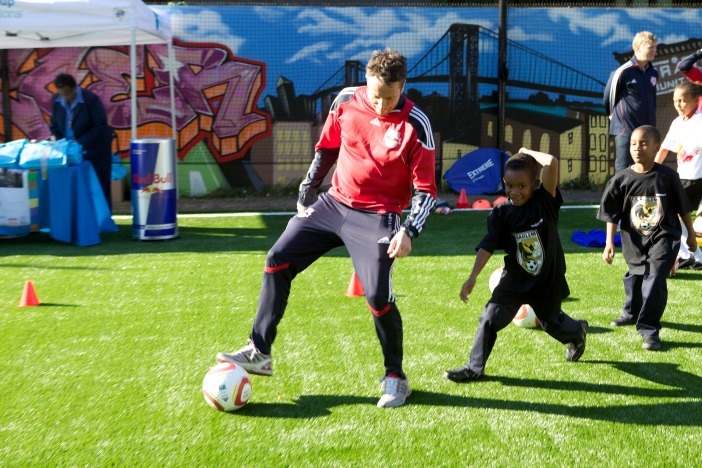 The New York Red Bulls ‘Urban Soccer Program’ is an outreach initiative that serves urban communities in the Tri-State area. Utilizing the Red Bulls extensive resources and player development expertise, our goals are to provide programs that help engage children in physical activity and use soccer as a vehicle to teach life skills, encourage the values of team-work and promotes discipline, confidence and self esteem.